What are you doing later this evening say around 8 EST or 5 to 6 PST? Nothing? 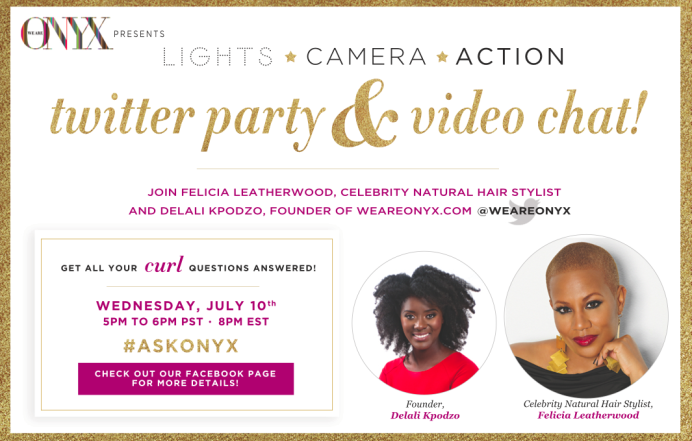 Well then join celebrity natural hair stylist Felicia Leatherwood and Delali Kpodzo, founder of WEAREONYX.com in their first ever Twitter Party + Live video chat! Submit all question on Twitter using the #ASKONYX!